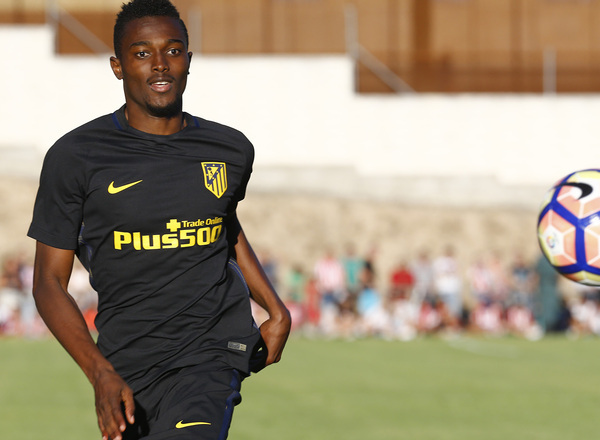 Ghana midfielder Bernard Mensah is determined to succeed at Atletico Madrid despite his failure to make a mark at the club. The highly skilled-enforcer was again shipped on loan to Kayserispor on a season long loan at the start of the of the Turkish SuperLiga campaign. But the 24-year-old says he still harbours ambitions of becoming a key player for the Spanish giants. "I have not given up on Atletico," Mensah told KweséESPN. "I know a lot of people think I have, but a lot of the hard work I am putting in on loan is with returning there to become an important member of the side in mind. "Maybe if I break through properly at international level, it will also help me." Mensah had high hopes when he made his €8 million move to Atletico, but he has found himself farmed out on one loan deal after and another and admits that it has affected him. "I don't particularly like the idea of being on loan because I think it makes a player uncertain and puts too much pressure on them," he said. "It is always better if you have a long-term deal with a club and can grow without having to worry about what happens to you next season." "When you are on loan, one or two bad games or a spell on the bench means you are almost certainly on your way to another loan spell, and that is not good for the development of a player." "I didn't play enough at Getafe and when I returned to Portugal, but I knew I could just not give up," he continued. "Kasimpasa was really good for me, and Kayserispor have allowed me to get better because I play, which is what every player wants." Mensah has scored once for Kayserispor this season, notably capping off an exceptional display in their shock 3-2 victory at Fenerbahce with a 52nd-minute equaliser to cancel out compatriot Andrew Ayew's opener. Since that victory on September 1, however, Mensah hasn't won with his club side, and Kayserispor sit 13th in the Turkish top flight after nine matches.